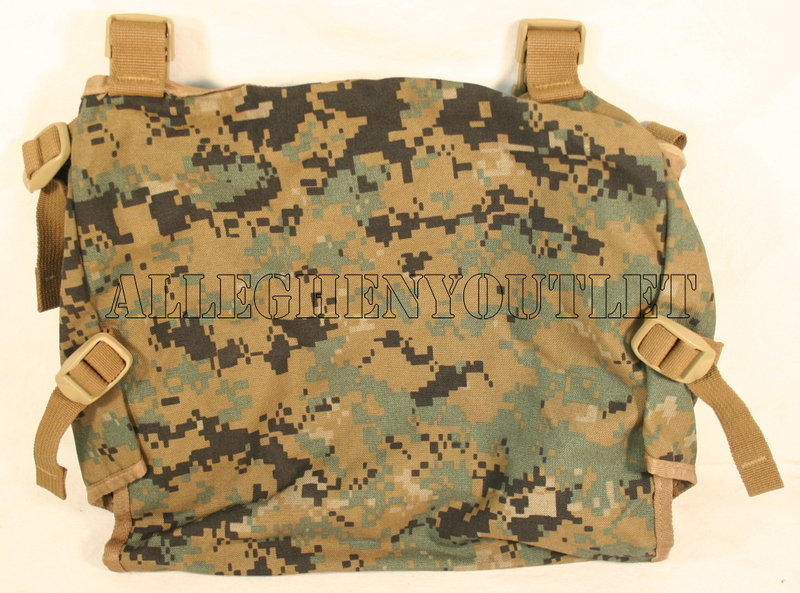 Designed to fit in the Gen 2 (Tan Buckle) ILBE Marpat Mainpack, this Radio / Utility Pouch is Marpat Digital Camo, complete with all straps and buckles, no holes, rips or tear and is VERY GOOD CONDITION. 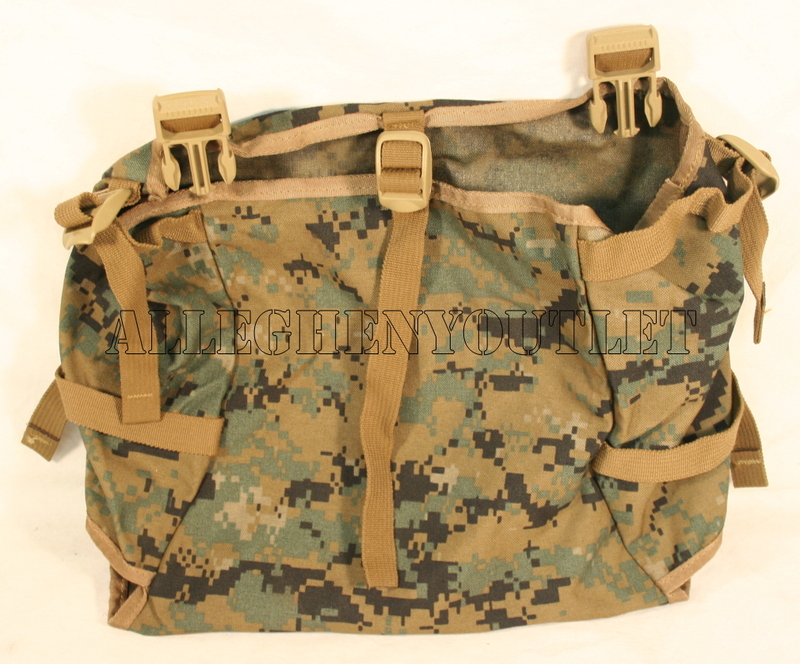 This Pouch is a Component of the Improved Load Bearing Equipment (ILBE) and was designed to carry the radio in the MARPAT Main Pack Rucksack. The Radio Pouch can also be used for other items as well. The Pouch is LARGE and a Box 12 x 9.5 x 2.5 can Easily fit in it, however you can put soft items in it also. It's great for camping, hunting, hiking, or just about any other outdoor activities you would need a pouch for. It can be a good bag if you have big, bulky items to bag. But this bag is useless if you need a bag for small items as they will spill out each corner. I just didn't look at the picture long enough to notice. Maybe the description should have mentioned this as most folks buying bags expect them to hold any items they may place in them. I've always gotten great products and service from Allegheny a Outlet but this item is not as useful as it could have been.